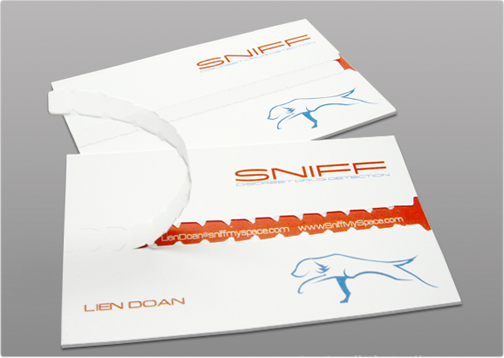 The Sniff business card design involves a tear-off cardstock strip through the middle of the business card. 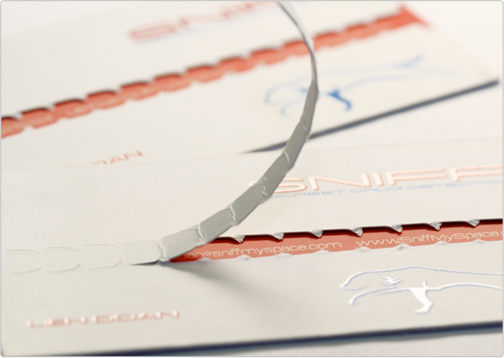 The two-tone color palette chosen for the business card design includes the company colors of blue and red. 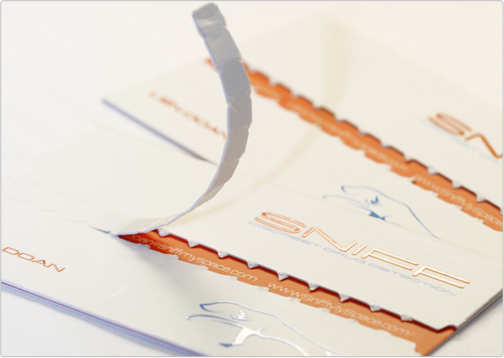 This custom business card was printed by Taste of Ink Studios using adhesive and two sets of 14pt cardstock to create branding and unique final product.